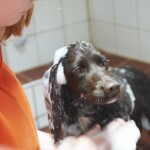 Soap Star... Pets can get the five-star grooming treatment at Woodlands to make sure they’re always looking their best. Our staff are trained in a variety of grooming techniques, from a regular wash, cut and blow-dry to full competition styling – all in our fully-kitted grooming parlour. 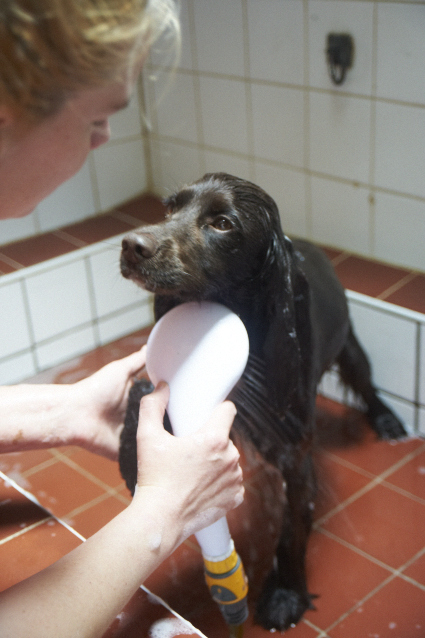 A quick make over groom – ideal to remove dead hair – keeping your dog’s coat in tip top condition, whilst also preventing matting. 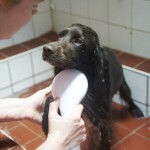 This is an ideal grooming treatment for in-between a Full Make Over Groom. 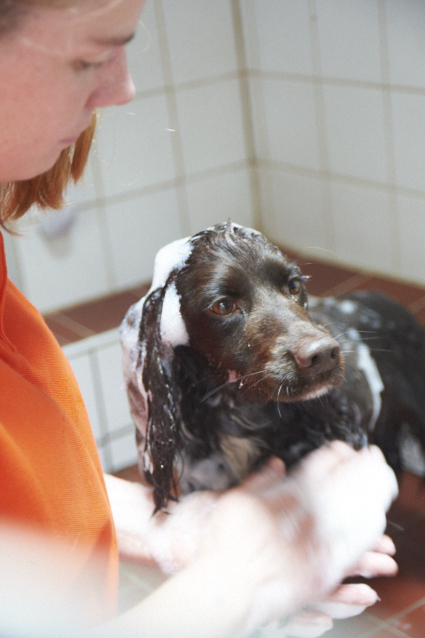 Wash & dry service includes dead-hair removal, two shampoos, a blow dry, before a final spritz of specially formulated dog friendly cologne. 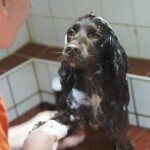 Our full make over treatment offers everything your dog needs to look & feel good Including a nail trim, a between pads and paw trim, removal of dead hair, two shampoos, an ear cleanse, a warm specially designed doggy blow dry before a final spritz of specially formulated dog friendly cologne. 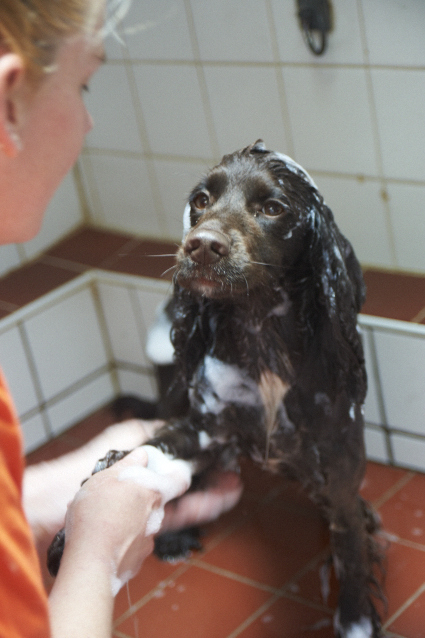 We also offer a very special grooming service for puppies as well… please contact us to discuss further.